The Urban Developer drops in on the Remix Academy on The Sunshine Coast to learn how to harness creativity to make cities better places. If you think it’s a strange idea to host a conference about building creative cities in a city like Maroochydore, then you probably need to re-adjust your perception of the Sunshine Coast. This once-sleepy tourist enclave is now home to a substantial University, a gleaming new regional hospital and a thriving arts scene, as evidenced by the opening party held in a local gallery. REMIX conferences began as a way to bring cultural city-makers together in the usual destinations (Sydney, London and New york) but now they are spreading their wings, TedX-style, in the smaller, more focussed REMIX Academy format, with an emphasis on case studies, advice and ideas exchange. Who doesn’t love a New York story? Andrew Kalish opened the day with a step-by-step breakdown of how to turn a city centre around. As the Director of Cultural Development for The Downtown Brooklyn Partnership, he’s part of the team that has brought together a tapestry of educators, entrepreneurs and arts organisations to build a genuine ecosystem of co-dependence. “Gentrification is not going away any time soon, so we realised we’d have to learn how to deal with it.” As you’d expect of the big apple, Kalish was full of pragmatic advice from hard-fought battles between economics and culture: positioning the 10 Universities in the city as a natural talent pipeline for the rapidly-growing businesses of Brooklyn was an idea that illustrates this new scale of collaboration. Brooklyn’s CBD is emerging as a textbook example of how both business and community can win when they stop seeing each other as threats. An artist, a techie, a curator and a developer walk into a bar. Far from being an elaborate joke, the programming for the panel session turned out to be a stroke of genius. A slightly dusty Dan Prior (it was his party we all attended the night before), talked about how he began the Limited Run arts collective as way of being creative while still staying local. It was refreshing flip on the young-people-deserting-regional-Australia narrative and was singled out by John Knaggs, the CEO of SunCentral Maroochydore as an absolutely vital ingredient for ‘new urbanism’ to succeed. To have a major property developer identify culture and creativity as vital to their plans shows real vision, and it’s no coincidence that the Sunshine Coast Council were the body responsible for bringing Remix to this part of the world. The organsiers of Remix were keen to offer access to the speakers in more intimate settings and the smaller, salon-like ‘Ideas Brewery’ hosted a case-study rich discussion between Sarah Carrington, of cultural placemakers Futurecity and Jessie Hochberg from Nightingale Housing. Again, we saw how a simple shift in thinking allowed for a much more accessible and cultural cityscape. The example of a UK developer who were persuaded to turn their engineering budget for a pedestrian bridge into an arts commission for a ‘sculpture you can walk across’ had many of the attendees reconsidering the way construction budgets were allocated. Come in, the water’s nice. How to become a victim of your own success. We’ve all heard about the disused carpark in Peckham that became a rooftop bar and open-air cinema, but the real story, as told by Bold Tendencies founder Hannah Barry was far more intriguing. After spending 10 years gradually turning the top 4 floors of a carpark into an art gallery, concert hall (with it’s own resident orchestra), classroom, garden, kitchen, meeting place and maker studio (yes, the rooftop cinema and bar still offer stunning views of London), the space has become so popular, the council decided to open up the lower floors as well. You’d think Bold Tendencies might have been invited to expand into the additional 6 floors, but the building had become such a valuable public asset, the rights had to go to tender. 70 applicants put their hat in the ring and, although Bold Tendencies made the final round, but they weren’t the winners. The irony was not lost on the audience. As a consolation prize, Bold tendencies did get a 4 year lease on their current space, the first time they’d been given any official tenure at all. The case study showed that ‘meanwhile uses’ in cities can often become permanent and that when you have no defined timeline, your only strategic option is to go tactical. It could have been the jetlag, but Barry’s talk did sound a little like a eulogy. Bold Tendencies have announced their intention to spend the next 4 years going out with a bang, not a whimper and for the organisation to expand its purpose beyond the space it currently inhabits. Regional Australia is urban, too. Perhaps the biggest news from this Remix Academy was the realisation that there is a real hunger to consciously pursue a better quality of urbanism in almost all parts of Australia, not just in the capitals. The delegate mix included planners, educators, architects, developers, administrators, designers, marketers and politicians from regional cities in almost every state, with a real appetite for new ideas and fresh thinking on city making. 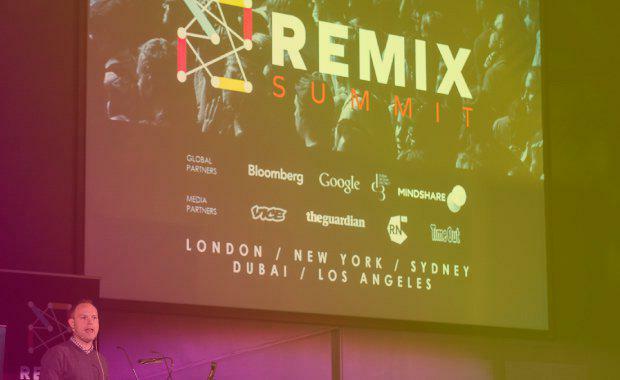 It was a real credit to Peter Tullin and Simon Cronshaw, the co-founders of REMIX Summits, that they were able to bring such a high calibre of creative and cultural speakers to the Sunshine Coast. And it’s a positive sign for Australia’s cities that so many of our professional placemakers made the trip to hear them speak. Barrie Seppings is the Director of Creative Strategy at Wordsearch Australia, the world’s leading marketing & communications network for property and architecture.